Skeleton puffin’ on cigs, so Skidmore! If you’re a fresh-faced First Year, you’re probably getting tired of hearing about how crazy Moorebid is from upperclassmen. You’re probably thinking, All of the Skidmore parties I’ve been to have been, like, hella tame. Are these old fucks even capable of going hard? Look, I’m not going to take that personally. As a senior, I’ve learned to control my emotional reactions to clueless freshers like you. 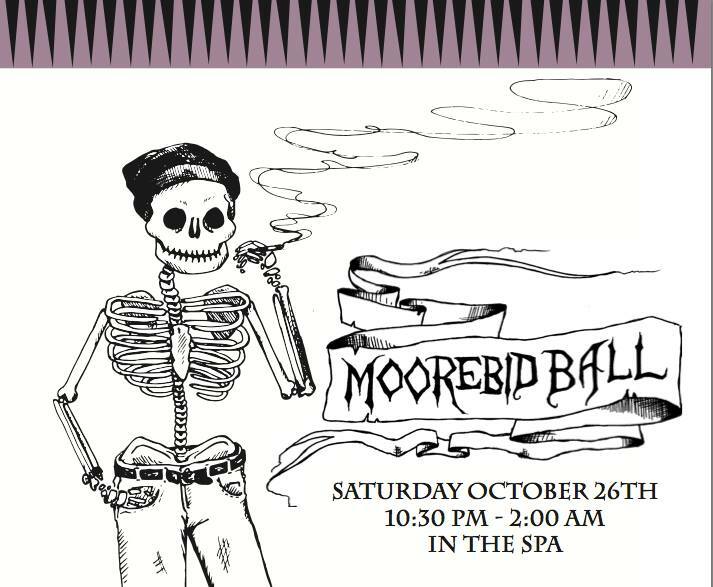 As a preface, I would like to present my own personal experiences at Moorebid Ball. 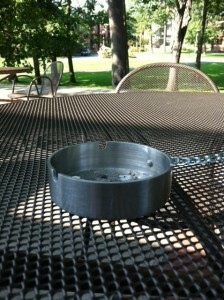 Clearly fed up with degenerate smokers hurling the butts of their deathsticks to the ground in nicotine-fueled rages, the school has installed some very bondgagey looking ashtrays on every table outside Case. How many times do you think you’ll hear somebody say, “Dude, I totally feel like I’m in Mad Men!” in the coming weeks? Of course, this stunning anti-fresh air move begs the question: how will the industrious squirrels of Case hoard cigarette butts now? What will they pad their nests with? The Skidmore News and empty sugar packets simply don’t offer the comfort or insulation of a good old fashioned used smoke. I once spent a few dark weeks under the Thaddeus Kosciusko Bridge, and believe me, I know! Bros, If you’re going to dookie on campus please be considerate and flush.